Length of Advocacy: 1 year 4 months; inducted in 2016. HOW DID YOU FIND YOUR WAY TO CASA OF CENTRAL VIRGINIA? 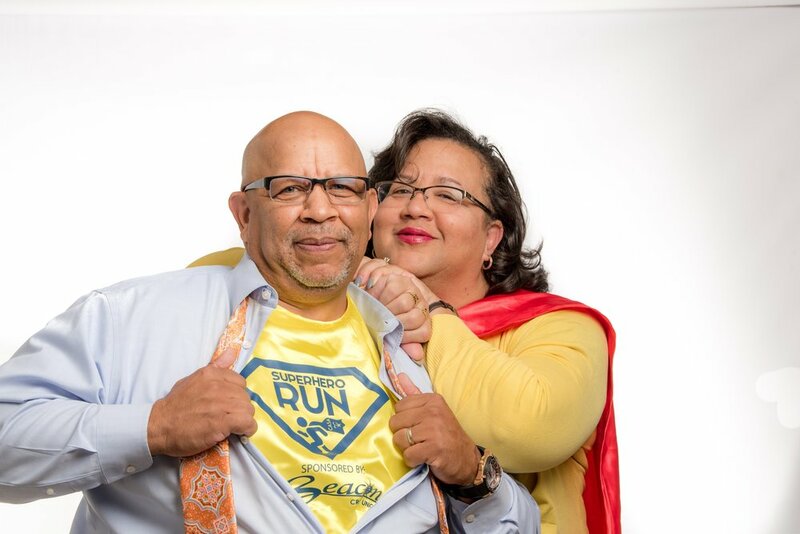 "Renee and I met when I returned to Roanoke after graduating from Virginia State University and began my career with Norfolk Southern Corporation. Renee was working with the Virginia Skyline Girl Scout Council. We married and moved nine times throughout my career with Norfolk Southern. We had two children and the boys were very active throughout their childhood. Our home was always known as the Kool-Aid house because all the children, no matter where we lived, seemed to come to our house. This still remains true today as both our sons are adults and their friends still come to our house. "After I retired from Norfolk Southern Corporation, we decided to move closer to our parents’ homes in Roanoke and we chose the Smith Mountain Lake area in Moneta, Virginia. One of our new neighbors asked Renee about possibly becoming a CASA. We both decided to go to a CASA informational session in Lynchburg, Virginia. After a short discussion, we both decided that we would become CASAs and knew it was a worthwhile volunteer opportunity." "When we are not engaged in our CASA casework, we have plenty other activities to keep us busy. We enjoy boating, fishing, swimming and jet skiing on the lake. Renee is an active quilter and sews new baby quilts for family and friends. I enjoy tutoring one day each week in the Roanoke City Public Schools. I read to pre-K students and help third grade students with math. One of the other benefits of tutoring is that you get to assist other students who may just need someone to say hello. Renee and and I are very active in various ministries in our church and of course spending time with our families. We travel often to visit one son in Atlanta and the other son in Pittsburgh." WHAT KEEPS YOU GOING AS A CASA? "The positive influences we can have on a child going through juvenile judicial system is one of the most rewarding experiences we have known. Renee knows that she can uplift a child’s life for the betterment of the child. I personally can attest to the care and respect she and her child share at the 8:00 p.m. Sunday phone call each week. We are blessed to know that we have made a positive impact not only on the children but sometimes on the family. To have a young child who you are an advocate for run up to you with open arms and give you a hug is a testament to our juvenile judicial system and how the process helps to improve the life of the child. CASA can positively impact a child. The CASA may be the only constant in a child’s life. "When we first became CASAs, we began our initial case working together on a case with multiple children involved. After discussing with our Advocate Manager and the ever increasing demand for CASAs due to the case load, we decided that we would be able to serve more children and assist in decreasing the case numbers if we each had our own case. This did not in any way affect our compassion and dedication in making certain that the children were still our primary focus throughout this process. "Thank you, CASA of Central Virginia for allowing us to help those who unfortunately cannot help themselves at a crucial time in their life."